Today we released Orbeon Forms 2017.2, the second and last major release of Orbeon Forms in 2017! This release introduces several major features and enhancements which should help form authors and form users be more productive! 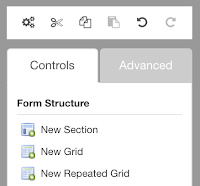 With Form Builder, all form controls in Form Builder are placed within grids. Until now, each grid could only have from 1 to 4 columns (with the option, by configuration, to extend that number at the risk of having funny-looking layouts). Spanning rows in a grid was possible, but spanning columns was not. 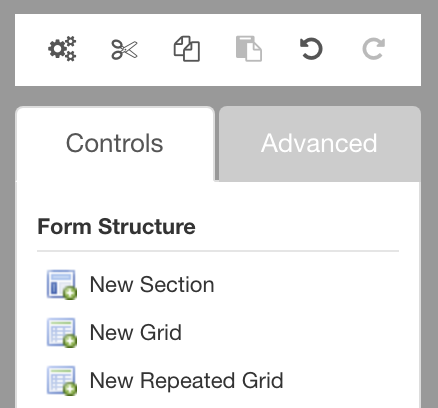 The Form Builder toolbox now includes at the top, in a non-scrollable area, the Form Settings icon, clipboard icons, and undo/redo icons. The rest of the toolbox got split into 2 tabs: Controls, and Advanced. The latter includes Actions and Services, but also access to the Edit Source and Permissions functions. Including the features and enhancements above, we closed over 60 issues since Orbeon Forms 2017.1. 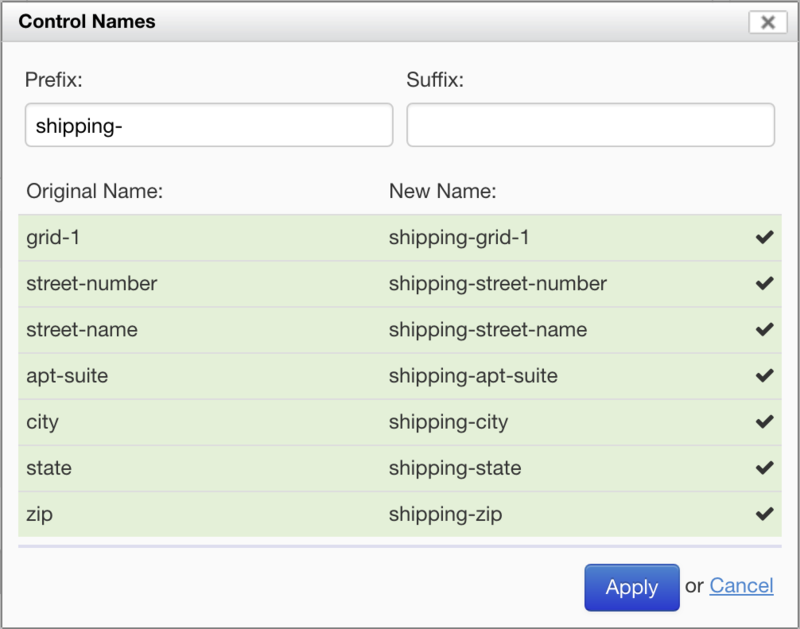 See Localizing Orbeon Forms for the latest localization support. Localization depends on volunteers, so please let us know if you want to help! This version of Orbeon Forms drops Internet Explorer support in Form Builder. If you require a Microsoft browser, you can, however, use Microsoft Edge 16 or newer. Internet Explorer is still supported by Form Runner, as listed above. Orbeon still recommends using Chrome, Firefox or Safari for Form Builder for the best Form Builder experience.